Unless you’ve been living under a rock, you’ve heard about Blue Buffalo brand dog food by now. This company follows the tagline, “Love them like family, feed them like family,” which speaks to their commitment in delivering the highest quality products possible. Have you ever wondered why there are so many Blue Buffalo brand dog food coupons out there? It is because pet owners love this brand and Blue Buffalo wants to make their products affordable for all pet parents! This brand offers a wide variety of dog food recipes for dogs in all life stages and from all breeds and sizes. That means that you can find a Blue Buffalo dog food formula to suit your dog’s individual needs and preferences. They even offer a line of natural veterinary formulas for pets with specific dietary restrictions. Blue Buffalo brand dog food coupons may come and go, but this brand is always worth buying. BLUE foods are made with “the finest natural ingredients and combined in perfect balance for holistic nutrition” – that’s a promise taken straight from Blue Buffalo’s website. Blue Buffalo supplements every recipe with their LifeSource Bits which are packed with essential vitamins, minerals, and antioxidants to support your dog’s whole-body health. You only have to spend a few minutes reading about BLUE pet foods to know that this is a company committed to ensuring the long-term health and wellness of pets everywhere. As one of the top-quality natural dog food brands out there, Blue Buffalo brand dog food can get a little pricey. It is important to remember, however, that you can’t put a price on your dog’s health. 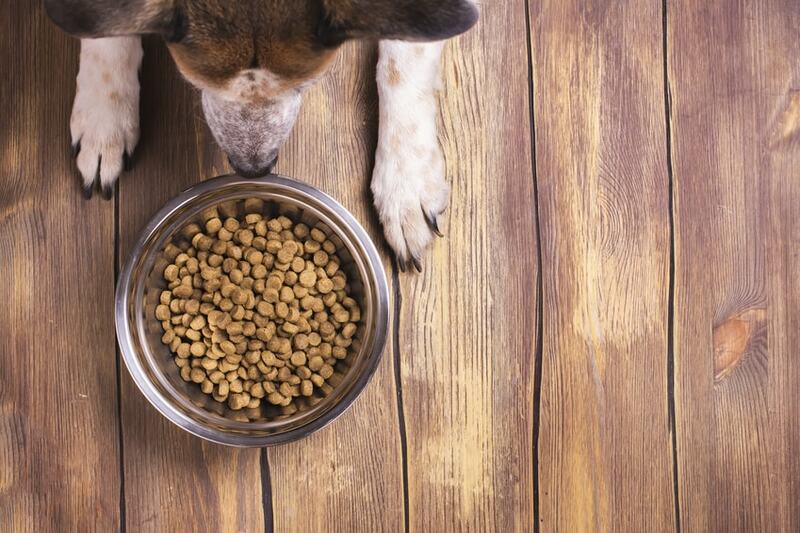 There are many low-quality dog foods out there that might meet your dog’s minimum nutritional requirements, but not through the use of healthy or wholesome ingredients. Your dog needs real meat to support his lean muscle mass and healthy fats for energy. He can also benefit from wholesome carbohydrates for additional energy and dietary fiber for digestive support. Look for a dog food brand that provides for these needs and THEN look at the price. I wholeheartedly recommend buying the highest quality dog food you can consistently afford – your dog is worth it. * Prices may varies due to fluctuation from the time of posting. Special offers are based on the information we found from the site. Take advantage of these Blue Buffalo dog food coupons while they last!